Limo parties, they're just for the grown-ups right? Wrong. 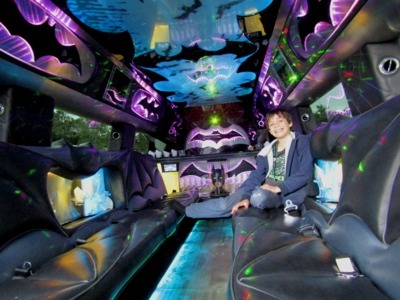 Limo parties for kids are fast becoming the next big thing for Melbourne's coolest children thanks to Exotic Limo. 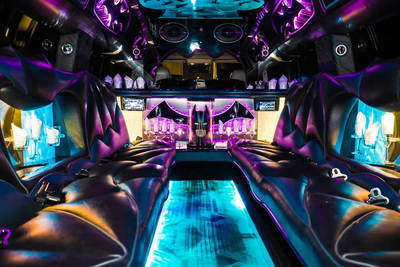 Hire a once-in-a-lifetime experience with one of Exotic Limos' epic stretch Hummer limousines for your kid's next party! We recently hired the BatHummer for our 10yr old's milestone birthday and wow what a day to remember! If you could bottle the excitement of a group of 11 x kids (and a number of grown-ups) jumping into a sleek black BatHummer, you could probably use that energy to power Melbourne for an entire week. The BatHummer is massive. It's hard to put into words how monumental this beast-on-wheels is but let's just say that your family car will dwarf in comparison. If this smooth ride could speak, it would roll up and growl "Hey, I'm BatHummer". But this isn't Knightrider.. it's better; it's the BatHummer with a fully customised slick Bat-themed interior that will blow your kids' minds. As the BatHummer rolls along the streets of Melbourne, lollies and soft drinks are available to sweeten the ride. Don't forget your phone or portable music device because BatHummer's stereo system is ready to blast out your kid's musical requests via bluetooth. Sit back and relish in the excitement of your child's party crew as they dance in their seats to their favourite tunes. Laughs and good times are guaranteed with plenty of photo opportunities to remember the moment for many years to come. "This is the best birthday party, ever"
"OMG there are lollies too?" The 4-door, 16 seater BatHummer is available for hire for your child's next birthday party. 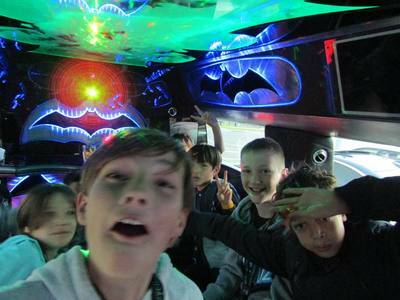 Turn your child's birthday into an experience they will never forget and book a ride in the biggest stretch limousine ..ever. Go one step further and complete your child's BatHummer experience with a SuperHero booking via Exotic Limo's partners at XLENT EVENTS. 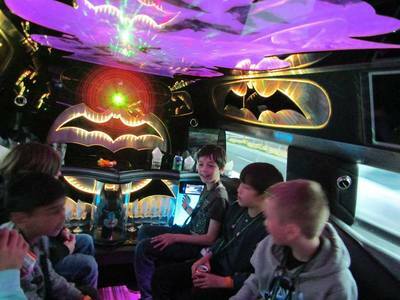 Limo parties for kids are available via Exotic Limo. 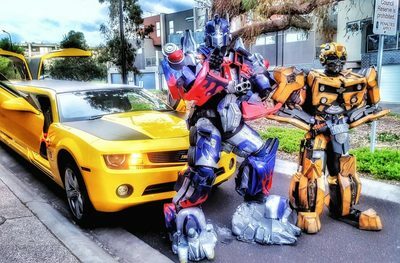 Save $200 quoting KidTown Melbourne. Book your Hummer limo today and let the good times roll. Where: From your chosen pick up point. Web: exoticlimo.com.au/childrens-limo-party or call Tim on 0407 494777.